Singapore-based exchange DragonEx says it has been hacked for an undisclosed amount in a number of cryptocurrencies. 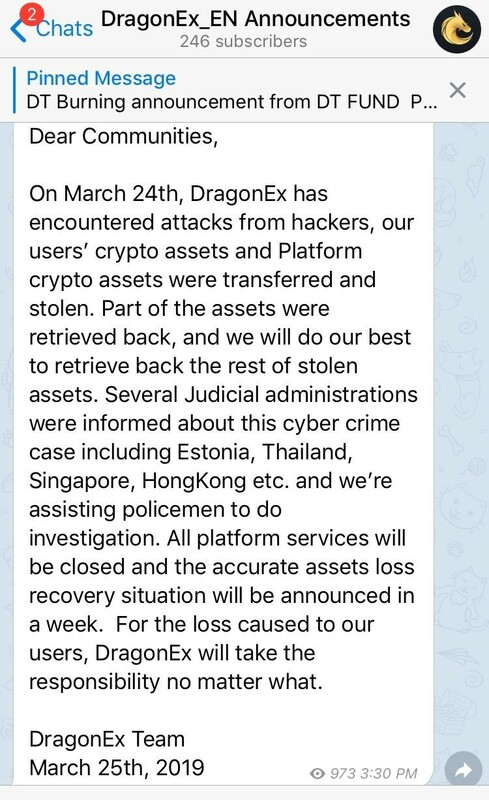 DragonEx announced the news on its official Telegram channel on Monday, stating that, on Sunday, March 24, it had suffered a cyberattack that saw cryptocurrency funds owned by users and the exchange “transferred and stolen.” No information has yet been provided on the value of the losses. On Sunday, apparently as the breach was first being discovered, DragonEx first took its platform offline saying it was upgrading its systems. Later the same day, it announced that it was “still working on system maintenance,” before finally disclosing that it had been hacked yesterday. 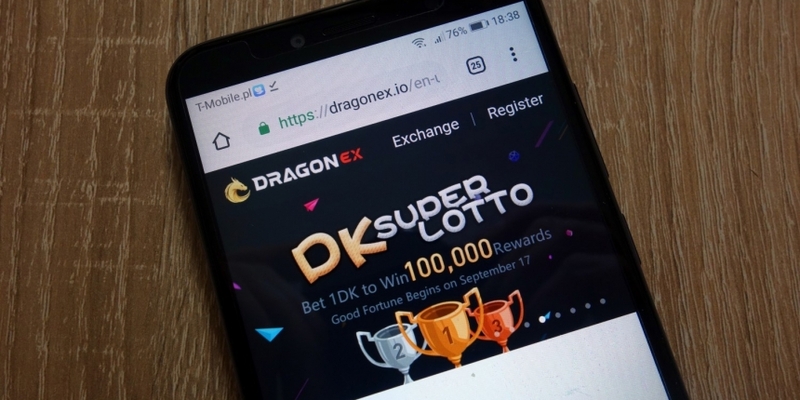 “Part of the assets were retrieved back, and we will do our best to retrieve back the rest of stolen assets,” DragonEx said in Monday’s Telegram announcement. In updates on the hack today, DragonEx’s Telegram admin provided wallet addresses for 20 cryptocurrencies to which the stolen funds had apparently been transferred. The list included the top five cryptos by market capitalization: bitcoin (BTC), ether (ETH), XRP, litecoin (LTC) and EOS, as well as the tether stablecoin (USDT) for which six destination addresses were provided. “We earnestly request help from all our fellow exchanges and other industry strength, please help us to investigate and traced the assets, freeze them and stop the assets flows,” the exchange said. The admin added that stolen crypto assets transferred by the hackers to the Huobi and gate.io exchanges have already been blocked.